We really don't know how to title this adventure. We have been preparing for a little less than a year by researching destinations, buying equipment and most importantly improving our fitness and sense of balance. I could go on and on about this fitness activity which was centered around the Athletic and Wellness Center of Earlham College, and the tortious interval training classes but not here, not now. Maybe we should refer to this adventure as the Medicare Ski Bums Road Trip. In years past ski resorts would acknowledge longer life skiers by offering free passes to skiers who were 70 or older. 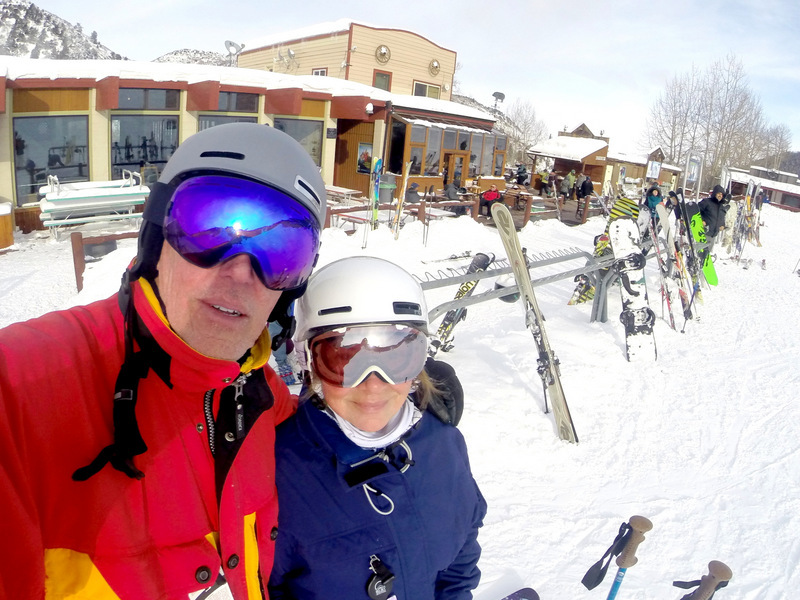 Today with greater longevity and improved fitness most resorts only offer a senior discount for skiers older than 65, so there is no reason for us to wait until one of us turns 70 to pursue this adventure. Although we have skied for almost thirty years we did take a ten year plus hiatus during our circumnavigation, but now we are back at it and yearn for fresh mountain air and the thrill of running downhill, no matter how green or how groomed. Equipment has changed dramatically since we bought our first set of skis over twenty years ago, and not only the equipment but the experience is different with everyone stopping to take a selfie (please no duck face) and a GoPro is attached to helmets (today some 70 to 80% of skiers wear a helmet), sticks or body parts. 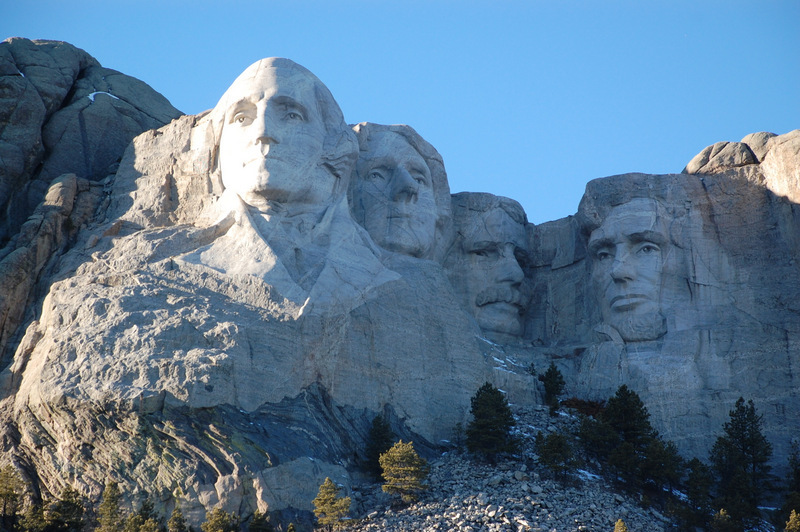 So we are off on 2 January first to do a little sight seeing at Badlands National Park and Mount Rushmore. Somewhere in South Dakota we pulled into a nondescript service station that sold gasoline without ethanol. Even though it was a few cents more than ethanol gas, I filled the tank because here was an independent thinker who wanted to make available a product not supported by "corporate welfare". Since 2002 Iowa farmers have profited by $20 billion dollars and the price of farm land has sky rocketed because of the Renewable Fuel Standard. All this despite the fact that ethanol actually doubles green house gas emissions. But this misguided conservation effort will not be corrected as long as Iowa holds the first presidential caucus. Even the Koch Brothers, who benefit the most from the RFS, say it has to go. Hey I could go on and on about welfare for the rich but this isn't a political adventure. At Red Lodge Mountain the snow appeared to be thin and only two of the five lifts were running. 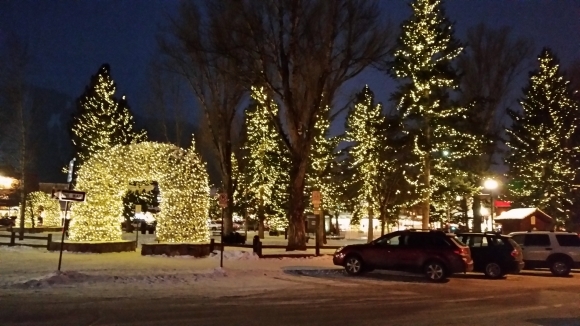 However the small town looked to be a great ski town with plenty of bars and restaurants and local motels. We took a pass since we didn't want to risk dampening our enthusiasm on poor snow conditions. We headed for Big Sky. 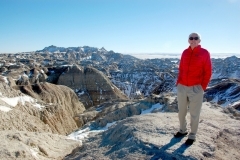 NBC anchorman Chet Huntley was one of the founders of Big Sky. You may not be old enough to remember The Huntley Brinkley Report on NBC but it was back in the day when anchormen smoked on camera or you could see the smoke from their cigarettes coming up from behind the desk. The same was true for Jack Parr and Johnny Carson and many other television personalities, hell when I was young my doctor smoked while examining patients. I remember when I was in the fifth grade and broke both of my wrist. My aunt walked (yea walked) me to his office some four blocks away. My doctor had office hours on Friday night and when we saw him he was puffing away. Huntley is well remembered by Big Sky. The first night at the resort we had dinner at the Huntley Lodge. The resort is huge with big wide open runs and since this is midweek there were no lines. 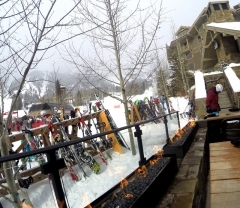 The amenities were excellent but there was little ski apres. The first day there was a bit of powder and the skiing was smooth and easy but the second day the snow was hard groomed corduroys and we realized we needed to work on our technique and get accustomed to our new gear. Jim Bridger was a famous mountain man in the first half of the 1800's. 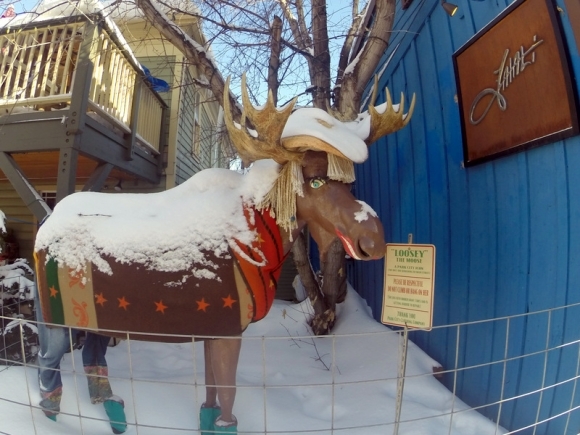 His exploits and travels from southern Colorado to Canada made him a local legend. Bridgers knowledge of English, French, Spanish and several native languages made him invaluable as white men encroached native lands. 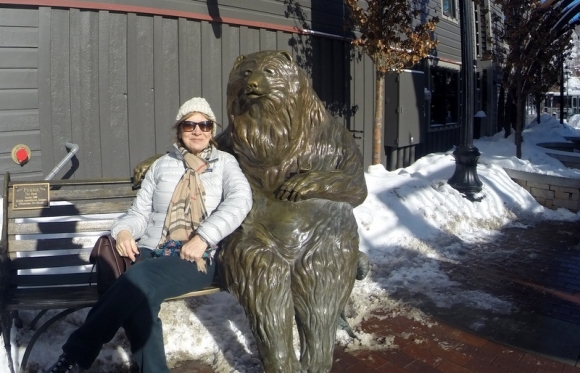 He was recently portrayed in the supporting cast of the film The Revenant. 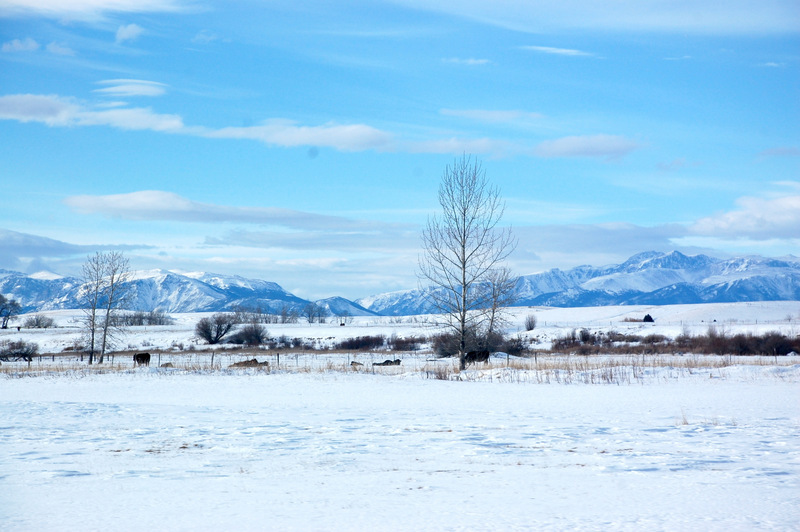 We are staying in Bozeman for two nights in order to ski Bridger Bowl. While walking downtown Bozeman, I recall the connection the town has with the book Zen and the Art of Motorcycle Maintenance by Robert Pirsig. The book was published in 1974 and I read it upon someones recommendation after Brad and I took a trip in the Morgan we owned at the time. I still recommend the book and still consider it one of my top ten reads. 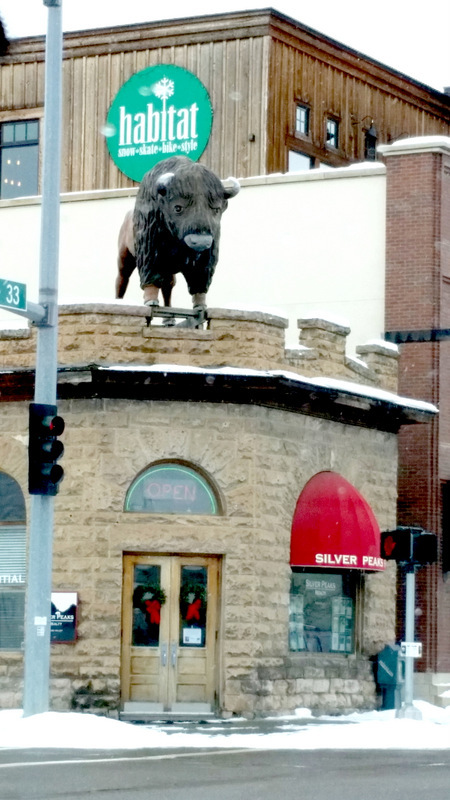 Bozeman is a great tourist town with a wide variety of restaurants and bars and of course the mandatory micro breweries. Skiing was very good and the resort had advanced lifts, good grooming and a mid mountain coffee shop. By now we are starting to get our ski legs under us and we are trying some limited tree skiing. We wish we had spent several more days at Bridger. 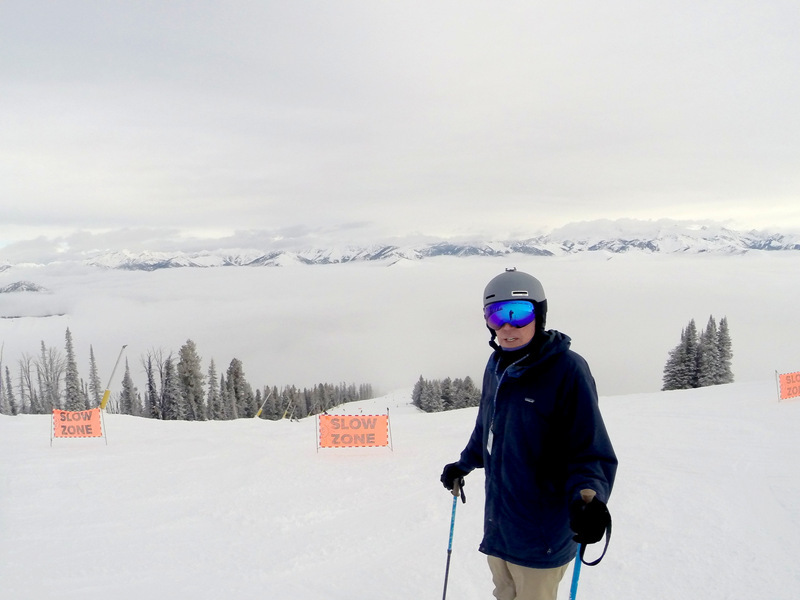 "Snow from Heaven not Hoses" is the motto of Grand Targhee. 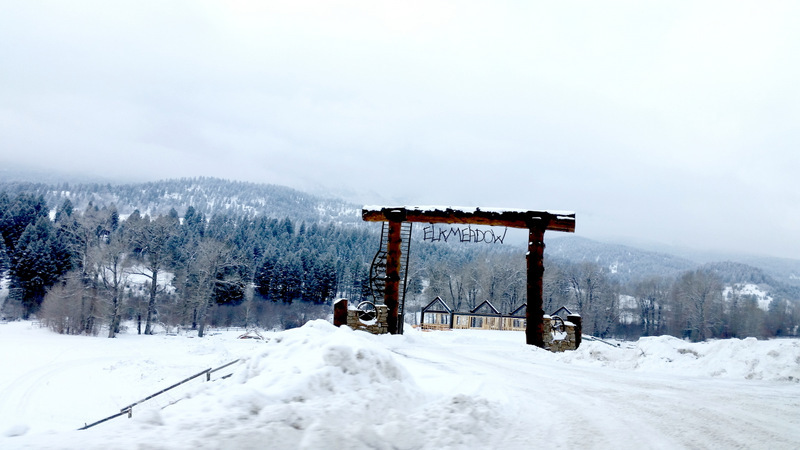 The resort averages over 500 inches of snow during the season. Well there's plenty of snow but not much in the way of lodging. On site lodging at most resorts typically requires a week minimum and since we will not be staying anyplace for more then a few days we must search for nearby hotels. 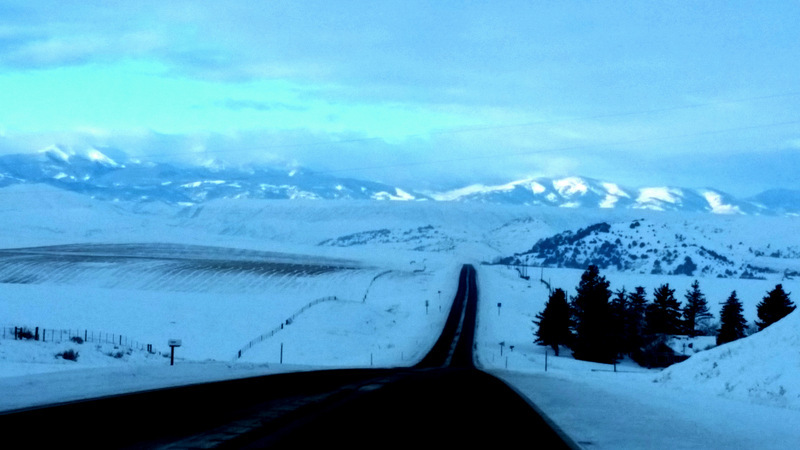 The only place to stay during the winter in Driggs, Idaho, the nearest town, is the Super Eight Motel. 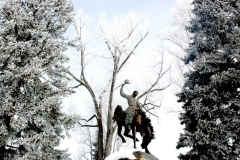 The Grand Targhee ski resort is another wonderful stop on our epic voyage through the Rockies. Did I say epic??? Well in our minds. If I were looking for a resort to learn to ski or ski better it would be Grand Targee. There is a wide variety of terrain, no midweek crowds and no distractions. We took a half day lesson ourselves, the sun was out and we could see forever. Now if you get all that snow you don't often see the sun. The town of Driggs is not much more than a good sized airport surrounded by up scale housing developments with one stop light. There is a shuttle from the town to the resort. We found shuttles or bus service at many resorts and utilized them because they save a great deal of hassle. You are dropped off right at the main lift by an environmentally friendly transport serving an industry that is trying to improve its image on environmental issues and in many locations they are free. 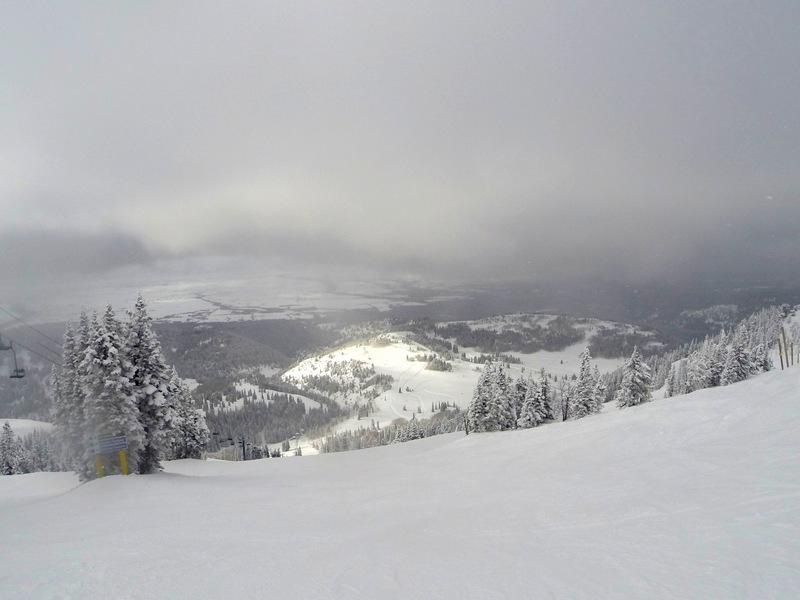 The weekends at Grand Targhee are a bit crowded but during the week it's empty. If you are in the area (only 50 or so miles from Jackson Hole) you should take the time to ski this excellent little known resort. Everything in the area is about real estate. Sotheby's, Berkshire Hathaway and other up scale real estate offices seem to be the primary industry. We met an agent on the lift one day and he sells only ranches and land. 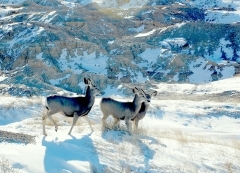 Fishing and hunting guides are also abundant. On the way to Jackson we missed a photo opportunity at the Teton Pass. It was a bit foggy below us but sunny on the mountain tops and Rene was sorely disappointed that we didn't pull over for the picture. After checking into our hotel, we headed downtown visiting the art galleries, outfitter stores and photographing the central park with its iconic antler arches. 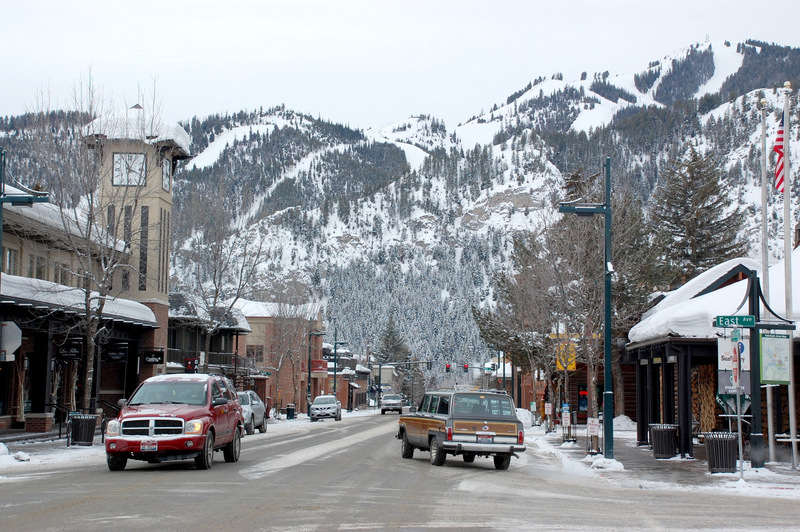 As with most ski towns Jackson is well equipped with a bus system that keeps cars off the mountain and provides an economical way for the employees to get to work. 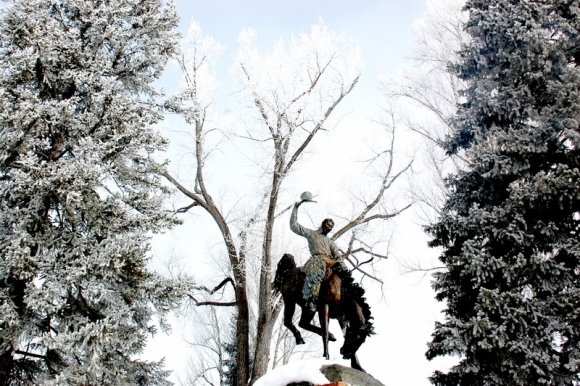 Jackson is named after a famous trapper and mountain man David Jackson who wintered here in 1829. 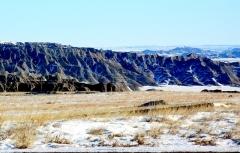 The "hole" description comes from the small entrance to the valley from the north and east. 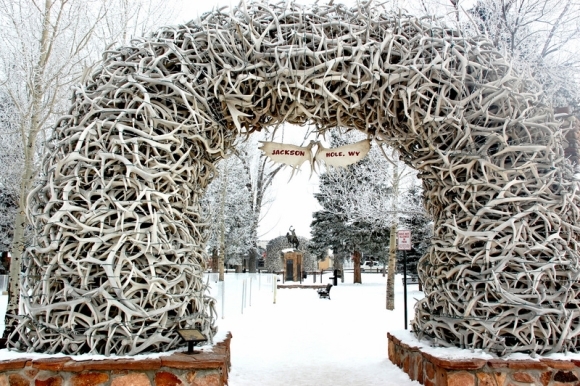 Jackson Hole was the first resort that accepted our Mountain Collective Pass. We were pleased by how efficiently it was processed and the hospitality shown us. First night there and bam 7 inches of powder. This was our first encounter on this trip with deep powder and without good technique we wear down early even through we are having a great time. We start late and finish early, so unlike when we were learning to ski when we would ski all day and then go out for night skiing if it was available. We were of course much younger then. After two days we face the prospect of a crowded MLK weekend and the forecast of a heavy snow. 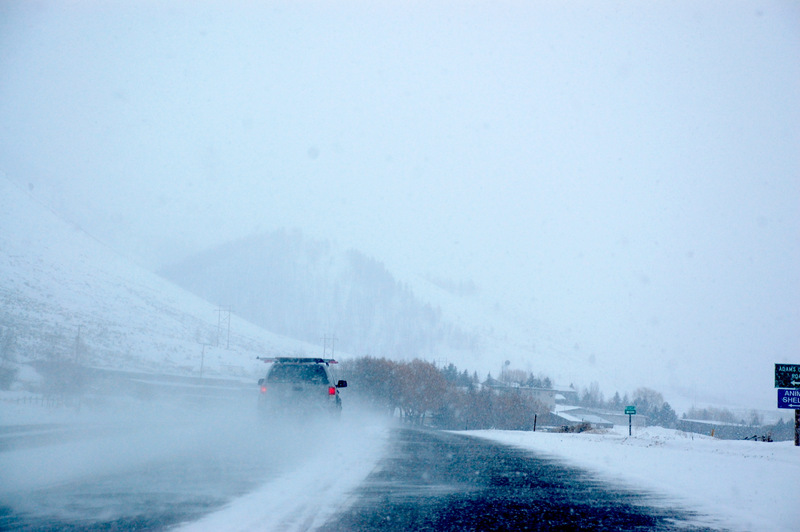 The Teton pass already has a snow chain advisory and may close at any time. So we head south in order to arrive at Sun Valley before the snow makes travel impossible. 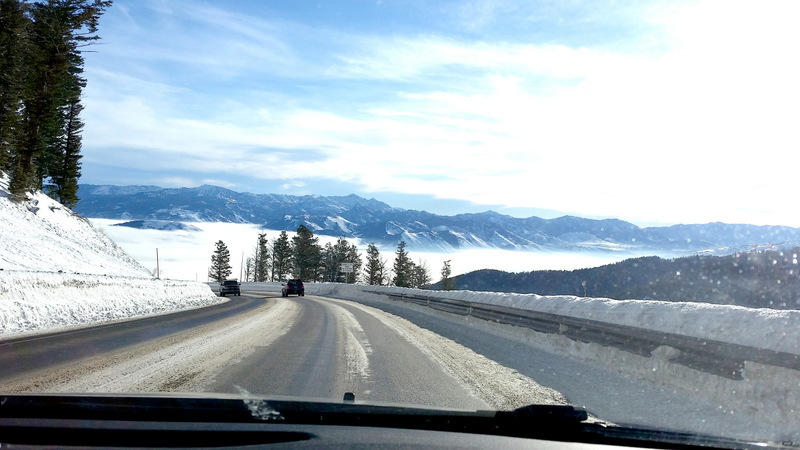 The drive to Sun Valley was challenging and we learn to become less dependent on our GPS since it may show the fastest route but not necessarily the best route in heavy snowy conditions. On the drive we are surprised that there is very little traffic. This is MLK weekend and no traffic? On the outskirts of town we pass the airport and there are about twenty private jets on the tarmac. You don't drive to Sun Valley, you fly in. Upon arriving in Ketchum and I am reminded that this is where Hemingway lived. I have read much of Hemingway's work and although he may no longer be relevant what I remember most is his economical use of words. He also used a spartan vocabulary yet description did not want. Sun Valley resort was built in 1936 by the Union Railroad as a passenger destination to supplement the freight business. Averell Harriman was president of the railroad at the time and arranged for celebrities to visit the resort in order to attract the ge neral public albeit the well to do public. In case you're too young to recognize Harriman's name he was Governor of New York, Sectary of Commerce, Ambassador to England and the Soviet Union and was recognized as one of the wise men in terms of foreign relations. The railroad spared no expense in building the resort. The main lodge is built of the most magnificent timbers imaginable (later I was to find out that the logs are actually concrete cast into the shape of logs and painted to deceive). It was the first resort in the U.S. with ski lifts, before lifts you made your way up the mountain by tow ropes. The place is just old money. The resturant at the main lodge was exceptional and you don't have to be wealthy for the staff to treat you as if you were. There are free buses to everywhere. There is a real clubby atmosphere. We wandered around downtown entering ski shops and walking past trout fishing provisioners. The little town is full of bars, restaurants, galleries and up scale grocery stores. We had new snow everyday and when the sun came out you could see forever from the top. The view is spectacular. Most of the surrounding mountains are above the tree line and look like a meringue topping. We did experience heavy fog one day that kept us on the lower runs but we loved the size of the town and the resort and the remote feeling. Beside the main ski mountain there is a beginners area and freestyle park on Soldier Mountain park just a few miles away. 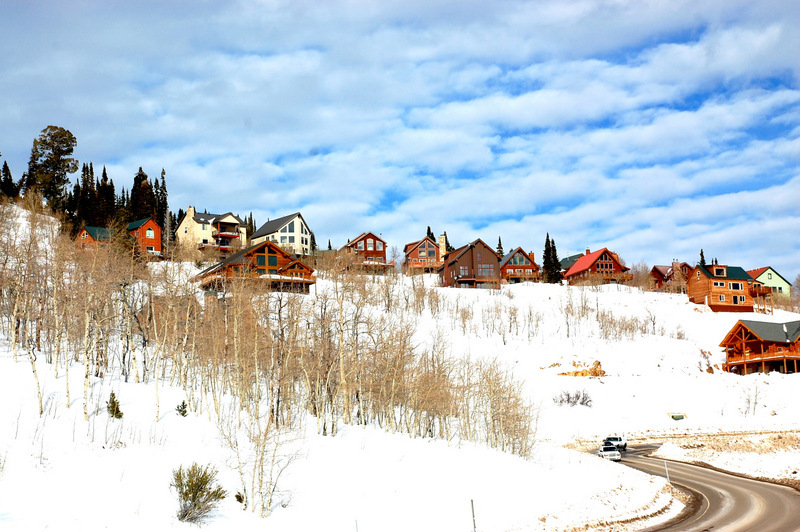 Powder Mountain is little known and yet one of the best stops on our travels. The layout is sort of a three tier arrangement with shuttles and buses running to tie it all together. 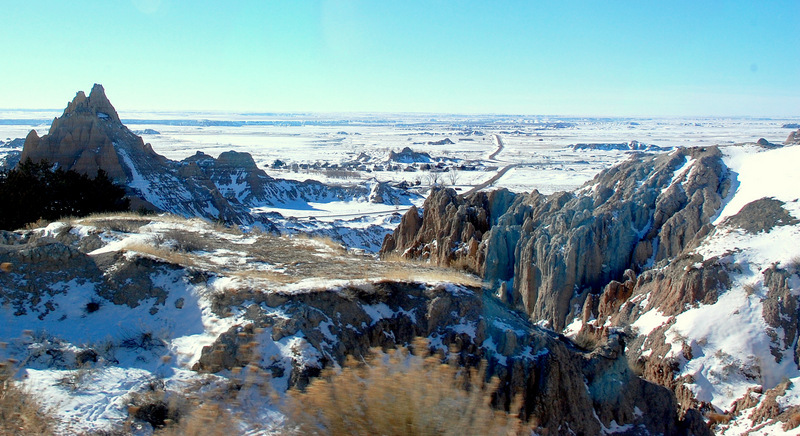 Skiable acres and six full mountain peaks make it the largest ski area in the US. A bus runs from Ogden to the resort but we chose to drive. Having exact change for the bus while in ski wear and carrying poles and skis is a real pain. There is no lodge at the resort but you can rent a nearby condo for a week. 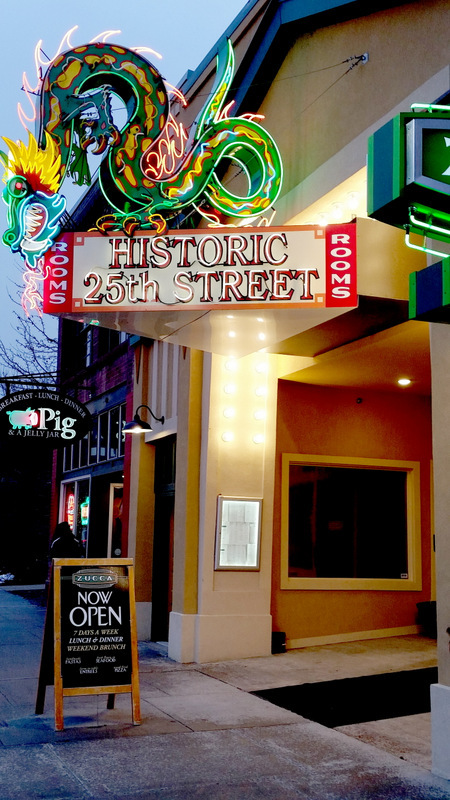 We are staying at the Hampton Inn in Ogden just a block or two from the historic 25th Street District where we dined every night while in town. Just around the corner from the Hampton is the Peery's Egyptian Theater and it just so happens that this architectural masterpie ce, which was renovated around 1996, was hosting the Sundance Film Festival. 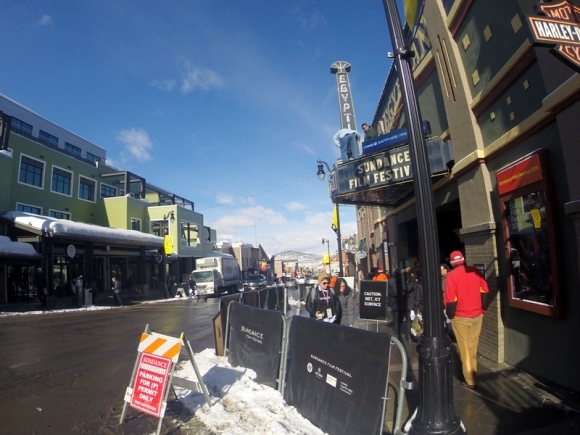 Of course, Park City is the center of the Film Festival but there are many venues outside of Park City. We were able to get tickets for Morris from America. We entered the theater and an elaborate Wurlitzer organ is performing center stage, at 6:30 the organ was lowered into the stage and the curtains began to peel back. Well the skiing is so good we stayed an extra day and on one lift ride back to the top we shared the chair with one of the guides who asked us not to recommend Powder Mountain because everyone liked it just the way it was. I am not defying this recent acquaintance but I know my miniscule readership and I feel certain that slackadventure.com will not increase the lift lines. Long runs are one of the attractions and if you head off to "Powder Country" you ski the back mountain until you reach the road and a shuttle will pick you up and return you to the lifts. 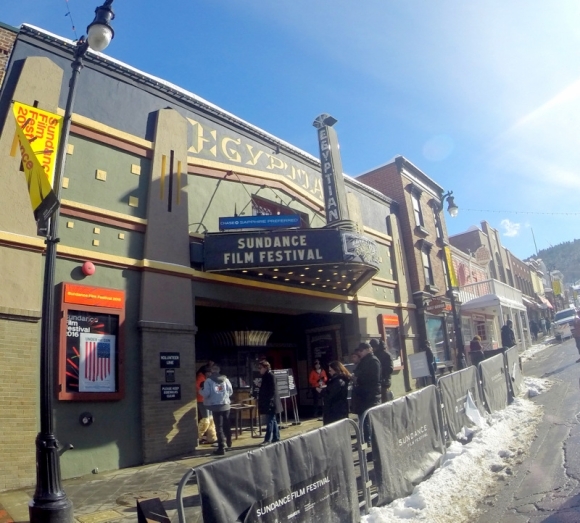 We took a day and drove over to Park City to see what the stir was about regarding the Sundance Film Festival. Well, the streets were crowded and dangerous to walk since everyone was texting, or tweeting, or reading e-mails and never watching were they were walking (in high heels no less). Mid morning the and streets were buzzing with people not dressed for skiing even though the lifts come right down into the middle of town. If you ever plan to go I would suggest pre-planning your visit and the films you want to see but we were there just to rubber neck. Oh ya the skiing is great during the festival because there is no one on the slopes. Wow the skiing and resorts just keep getting better and better. Alta is one of the more challenging skiing resorts with a sense of purity, no snowboards allowed. We skied mid week and found mostly grey headed people at the mid mountain restaurants. These 60, 70's and yea 80's were hanging out drinking coffee and hot chocolate and then off to the slopes with their season passes flapping in the wind. There was one guy (I guess 80's) walked around the resturant with a ski pole instead of a cane but he still had ski boots on. What a way to retire, I think we are jealous. We departed Alta sooner then we wanted because a giant snow storm was forecasted and we didn't want to get trapped so on to Grand Junction. 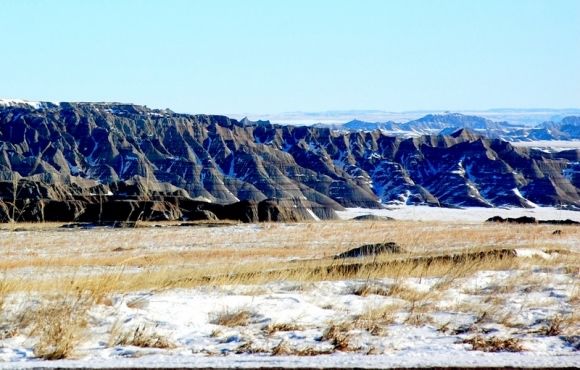 From here we will drive the 40 miles to Powderhorn weather permitting. Well weather was permitting and the locals said it was the best day so far this year. This is a gem of a resort that again locals ask us not to tell anyone about. The most oft asked question was " how did you hear of Powderhorn?" Well it was a wonderful day. Great runs, a new lift, plenty of space, warm outdoor patio and a good crew. Sorry no pictures since we didn't take the GoPro. 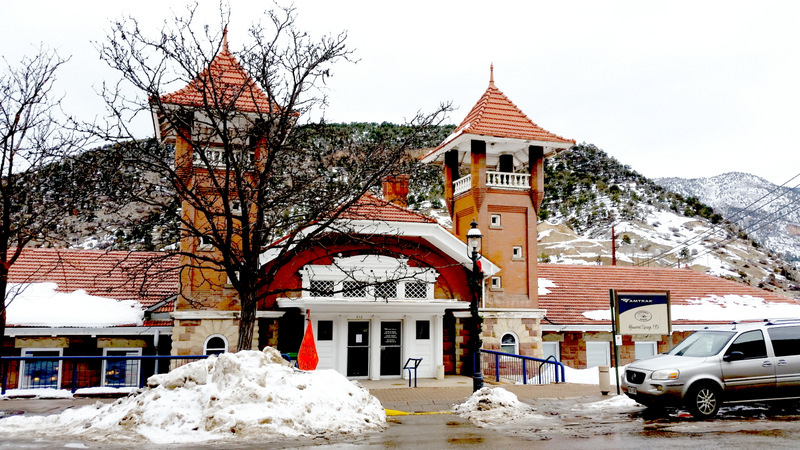 We are now in Glenwood Springs near the Sunlight Ski Resort and not too far from Aspen. 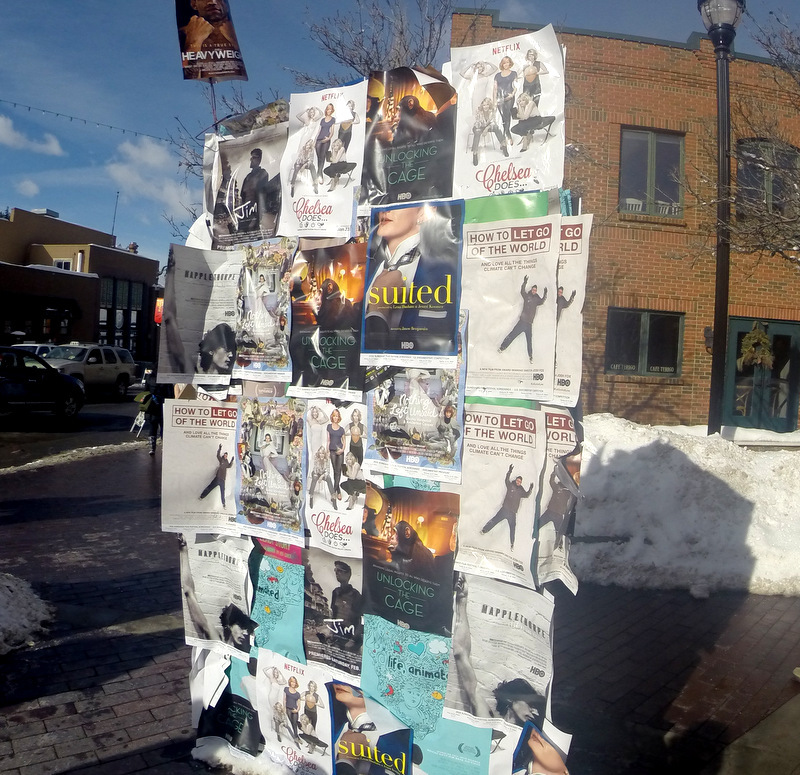 I mention the proximity to Aspen because the town is full of millennials since the X-Games are being held in Aspen. They will soon clear out as the games are about over and we are anticipating two major snow storms. Now major snow is good for skiing but sometimes it hurts business since skiers can't make it to the resort. 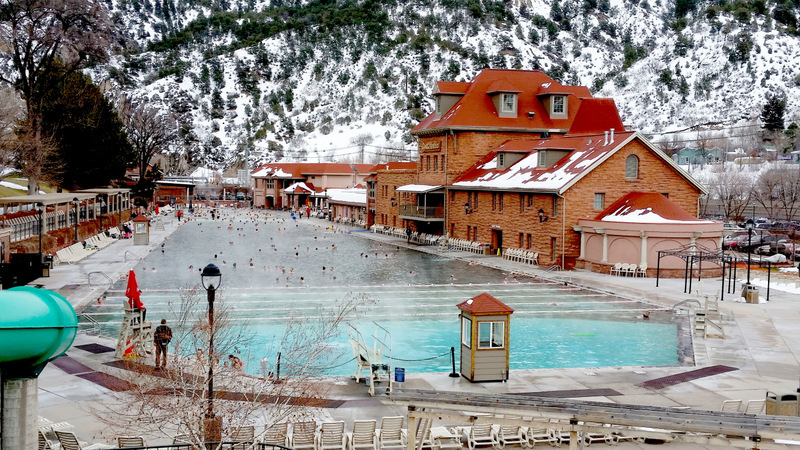 Glenwood Springs is also known for it's hot springs and you can see the steam rising from artificial pools filled with natural water and we hope to experience the therapeutic effects during our visit. Oh yea it is also where Doc Holiday died at age 36. He came to Glenwood for the hot springs in hopes it would have curative powers. 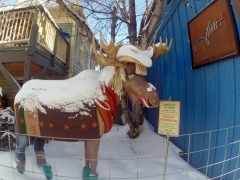 We are uncertain as to how best to get to Sunlight since a heavy snow is forecast. There is a bus or shuttle that runs from town to the resort and we may take that when the second storm system comes through. We had to kill a little time until out hotel room was evacuated by the X-Games attendees so we went to lunch at the Pullman resturant which is across the street from the RR station. I examined the draft beer list in dismay. What's with this need to make beer taste like a popsicle? Four of the five beers on the list came with a citrus taste and the fifth was a stout that was suppose to taste like graham crackers and damn if it didn't. And while I'm at it why oh why do they want to put a squeeze of lime in beer? Would you put pepper in wine? I understand that the lime squeeze came from Corona. The urban legend has it that the taste of Corona was so inconsistent that the lime was the only way to disguise the skunk taste that occasionally revealed itself. So now every Mexican beer needs a squeeze of lime? Good beer doesn't need to taste like lime, orange, grapefruit, lemon or what's next carrot, kale, broccoli, kohlrabi, or??? Okay the first day at Sunlight was great. 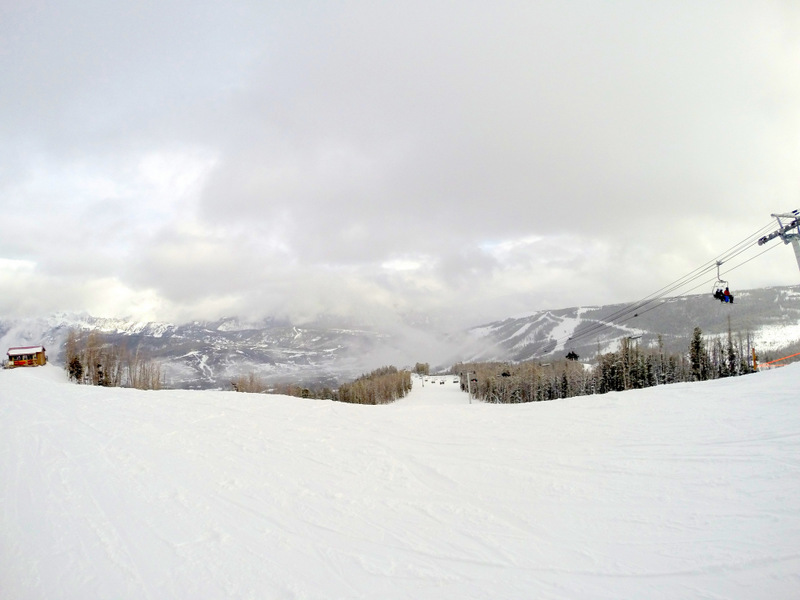 The resort received about 7" last night and we were able to drive to the resort without a problem. It was crowded due to the weekend and the racing activities however there was never a lift line. This place has only three lifts but the runs were so long and the snow was so good we enjoyed the day and the opportunity to practice on powder. Tonight we anticipate more snow and no crowd. We may get up early to make first tracks.